As the world this year marks the centenary of the outbreak of the First World War, ABC Classics presents a tribute to the music and the musicians who entertained and inspired the troops, and comforted those left behind. The songs trace the emotional journey that the War followed: from enthusiastic recruitment anthems to laments for loved ones lost forever in battles far from home. Love songs, light-hearted comic numbers, upbeat marches, black humour from the trenches, and precious memories of innocence and peacetime – the music helped everyone to keep together, to stay strong, and to make it through the darkest days of those bitter years. 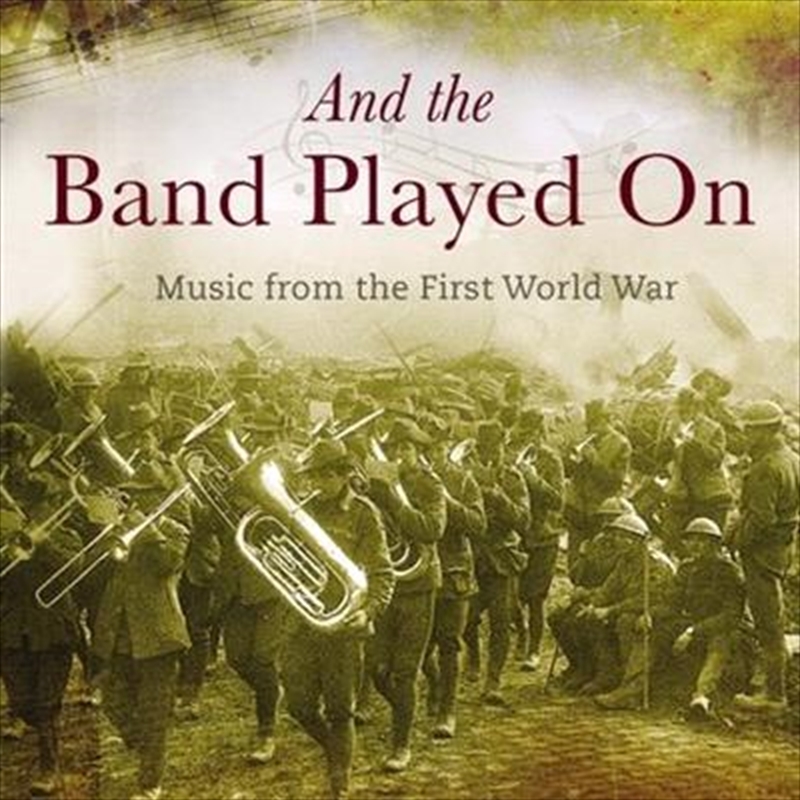 This 2CD album was inspired by the book And the Band Played On*, written by historian Robert Holden, which pays homage to the music and entertainment that lifted the spirits of the Anzacs. Holden’s book offers a fresh look at the wartime experience, delving into an area of history which has not been explored before, and ABC Classics is delighted to be able to bring the music back to life again with this extensive collection of original recordings from the War years.